Creativity goes along with Copyrights. As a Brand Manager, create an awareness of copyrights associated to the artistic works you manage in your DAM and you will avoid expensive and useless mistakes. 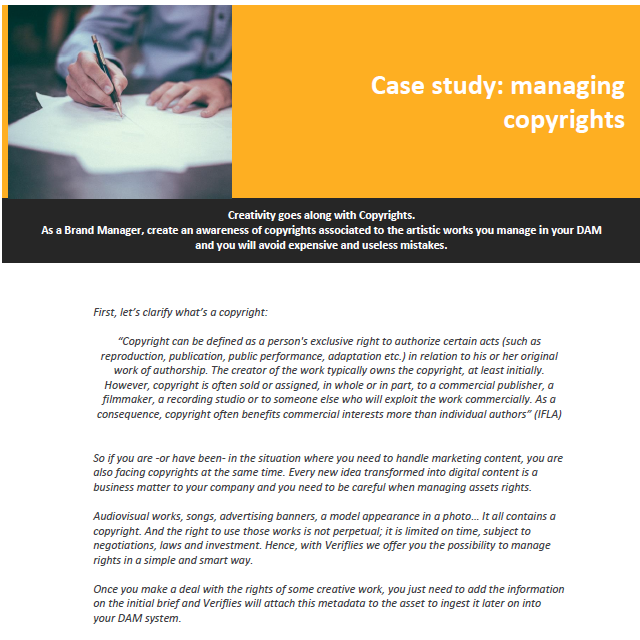 See how to use Veriflies to secure your copyright obligations.